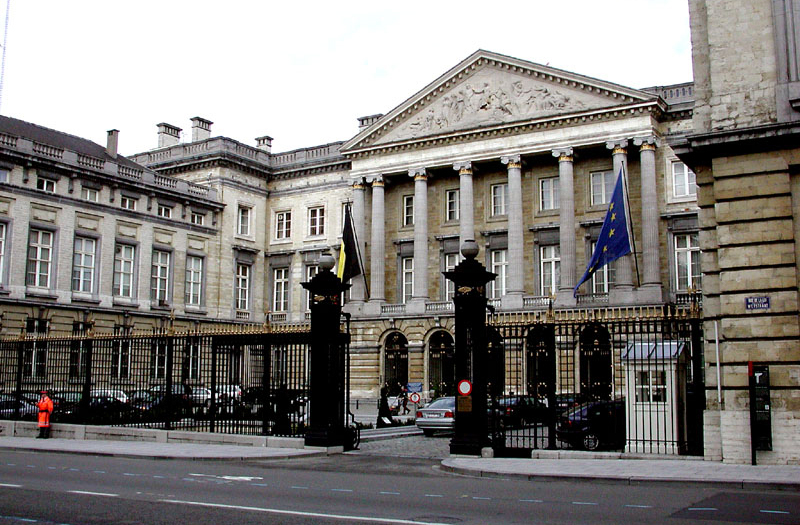 According to the Philippine Embassy in Brussels, only 3,067 Filipinos are officially registered with the Belgian National Institute of Statistics. Moreover, it appears that a considerable number of them have become naturalized Belgians and Luxembourgeois over the years. 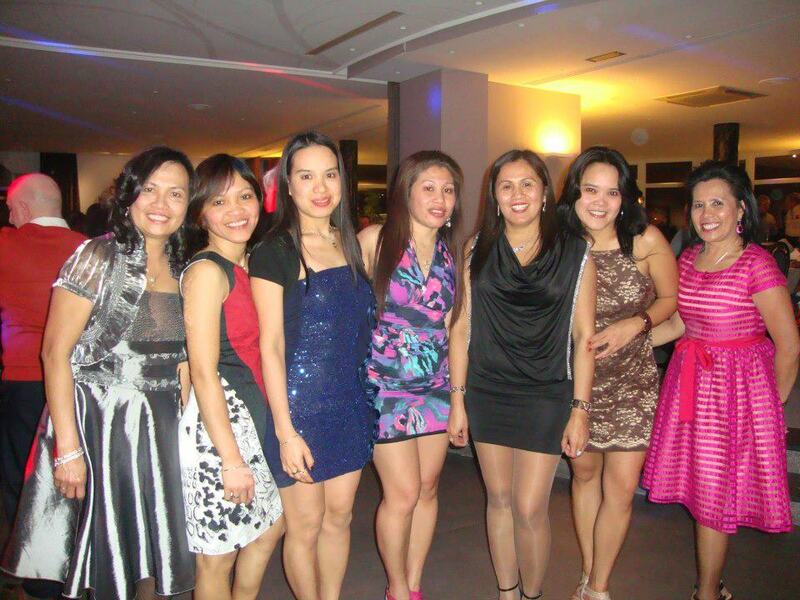 The majority of Filipinos in Belgium and Luxembourg—60 percent—are women. "Temporary immigrants" consist of students enrolled in Belgian educational institutions, as well as overseas Filipino workers (OFWs) with pending applications under the Law of 1980, Article 9.3. OFWs employed by diplomats with fixed periods are considered Temporary Residents. These non-Belgium based OFWs working for members of the Diplomatic Corps accredited to the Kingdom of Belgium and to various European Union institutions are normally taken by their respective diplomat-employers to their next place of assignment after their tenure in Belgium as diplomats. The following lines of work are taken by Filipinos in Belgium and Luxembourg: barbers/hairstylists (home service); bartenders; butlers; waiters; carpenters; au pairs; cooks; dishwashers; dog/cat sitters; drivers; electrical repairers; installers; factory assemblers; food processing plant packagers; gardeners; house cleaners; house sitters/home managers; hotel housekeeping staff/porters; part-time laundry workers; mechanics; office cleaners; painters; plumbers; wall paper and carpet layers; baby sitters; caterers; elderly care service providers; entertainers (Antwerp area); sewers; tutors; domestic helpers/general utility personnel working with Diplomatic Missions and households; professionals in private firms, e.g., abstractors and data encoders (a small number). There is considerable demand for domestic service staff, but the Office National de l'Emploi (ONEM) under the respective ministries of labor of Belgium and Luxembourg do not issue work permits to foreigners mainly because of the high unemployment rate as well as the restrictive labor policies of the EU. Except for a few hotel workers and a handful of office workers, immigrant workers engaged in the service sectors mentioned above are generally considered "travaille noir," i.e., undeclared, unprotected and undocumented. The majority of the Filipino workers are challenged by limited employment opportunities and illegal residency status. There are 74 listed associations of Filipinos residing in Belgium and Luxembourg. Umbrella organizations such as the Council of Filipino Associations in Belgium (COFAB) and the Council of Filipino Associations in Flanders (COFAF) embrace regional groupings such as the Grand Ilocandia of Belgium, the Hinunangan Association, the Pangasinenses Group, the Victorian Community, the Novo Ecijano sa Belgium and others. There are also four Knights of Rizal Chapters. There are sports organizations like the Philippine Sports Community and Filipino Sports Community of Antwerp. Cause-oriented groups like the Samahan, several socio-cultural groupings like Sampaguita, Mabuhay Friends Club, Belga-Cultura Filipina, etc., and numerous religious groupings also operate. Noticeable among these groups are those that have been established by Belgians married to Filipinas and who desire to help the Philippines through the organizations: Cadaatan vzw, Friendship for the Philippines, Kempen-Philippines Association, and Kababayan Filipino Community (Kababayan Filcom). In Luxembourg: Letzebuergesch-Philippinesch Aktioun Fir Den Development (LPAD), the Samahan ng mga Pilipino Luxembourg asbl and Philippine-Luxembourg Society. The modern, open and private-enterprise-based Belgian economy has capitalized on its central geographic location, highly developed transport network and diversified industrial and commercial base. Industry is concentrated mainly in the more heavily populated region of Flanders in the north. With few natural resources, Belgium imports substantial quantities of raw materials and exports a large volume of manufactures, making its economy vulnerable to volatility in world markets. Roughly three-quarters of Belgium's trade is with other EU countries, and Belgium has benefited most from its proximity to Germany. In 2011 Belgian GDP grew by 1.8 percent, the unemployment rate decreased slightly to 7.2 percent from 8.3 percent the previous year, and the government reduced the budget deficit from a peak of 6 percent of GDP in 2009 to 4.2 percent in 2011 and 3.3 percent in 2012. Despite the relative improvement in Belgium's budget deficit, public debt hovers around 100 percent of GDP, a factor that has contributed to investor perceptions that the country is increasingly vulnerable to spillover from the euro-zone crisis. Belgian banks were severely affected by the international financial crisis in 2008 with three major banks receiving capital injections from the government, and the nationalization of the Belgian retail arm of a Franco-Belgian bank. Luxembourg’s small, stable, high-income economy—benefiting from its proximity to France, Belgium and Germany—has historically featured solid growth, low inflation, and low unemployment. The industrial sector, initially dominated by steel, has become increasingly diversified to include chemicals, rubber and other products. Growth in the financial sector, which now accounts for about 28 percent of GDP, has more than compensated for the decline in steel. Most banks are foreign-owned and have extensive foreign dealings, but Luxembourg has lost some of its advantages as a tax haven because of OECD and EU pressure. The economy depends on foreign and cross-border workers for about 60 percent of its labor force. Luxembourg, like all EU members, suffered from the global economic crisis that began in late 2008, but unemployment has trended below the EU average. Following strong expansion from 2004 to 2007, Luxembourg's economy contracted 3.6 percent in 2009, but rebounded in 2010-11 before slowing again in 2012. The country continues to enjoy an extraordinarily high standard of living–GDP per capita ranks among the highest in the world, and is the highest in the euro zone. Turmoil in the world financial markets and lower global demand during 2008-09 prompted the government to inject capital into the banking sector and implement stimulus measures to boost the economy. Government stimulus measures and support for the banking sector, however, led to a 5 percent government budget deficit in 2009. Nevertheless, the deficit was cut to 1.1 percent in 2011 and 0.9 percent in 2012. Even during the financial crisis and recovery, Luxembourg retained the highest current account surplus as a share of GDP in the euro zone, owing largely to their strength in financial services. Public debt remains among the lowest of the region although it has more than doubled since 2007 as percentage of GDP. Luxembourg's economy, while stable, grew slowly in 2012 due to ongoing weak growth in the euro area. Authorities have strengthened supervision of domestic banks because of their exposure to the activities of foreign banks.